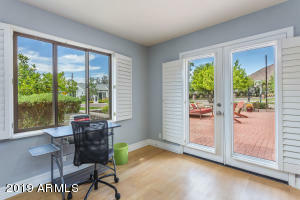 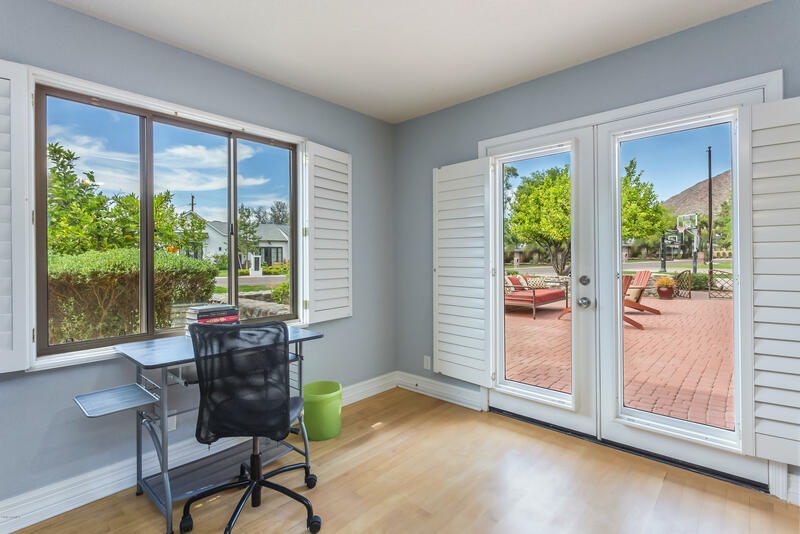 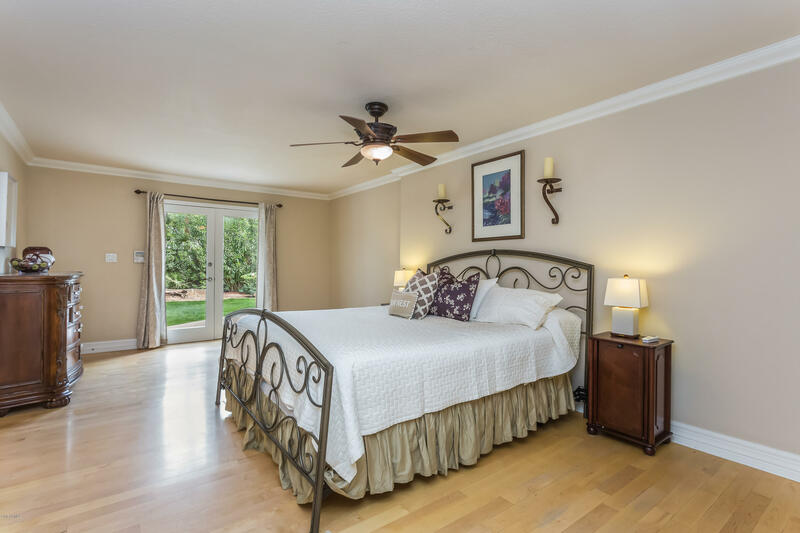 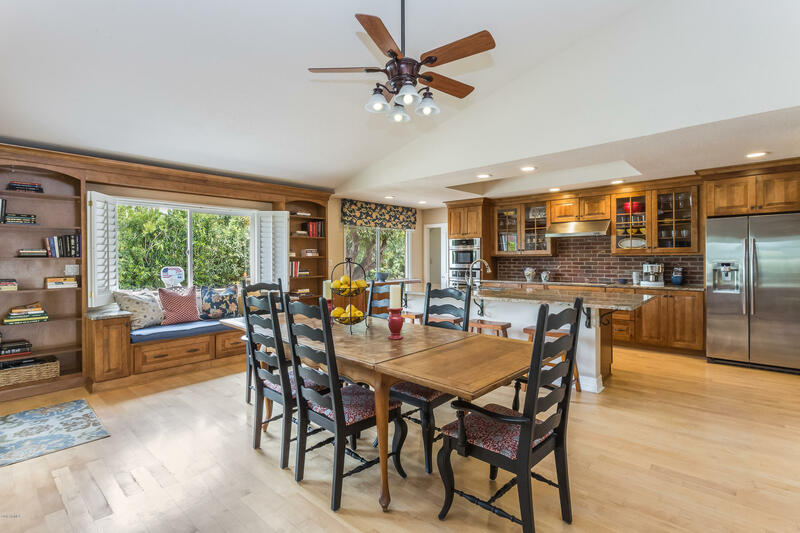 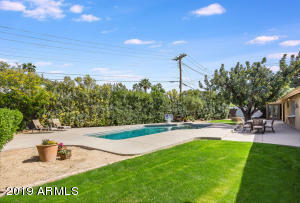 Located on one of Arcadia's most idyllic streets, this home is loaded with charm and opportunity! 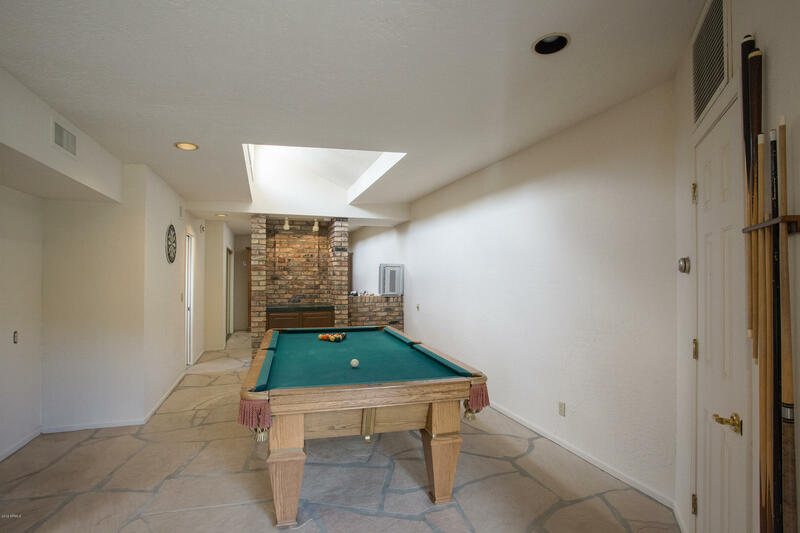 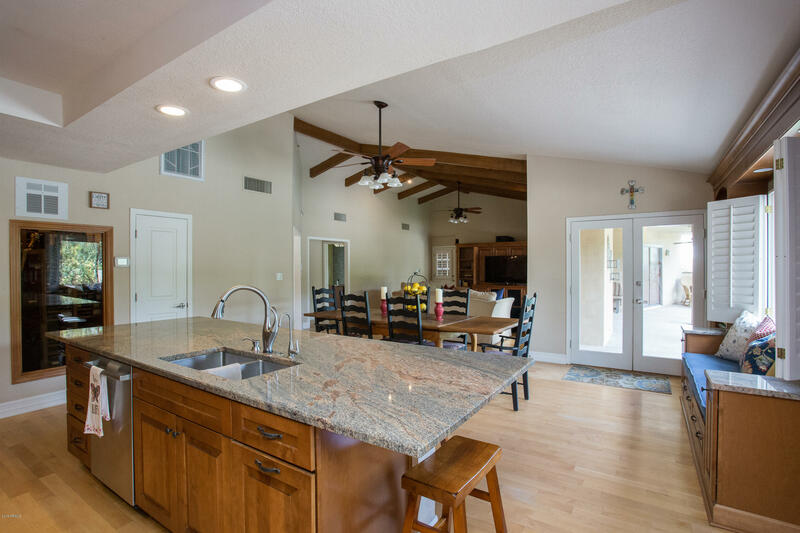 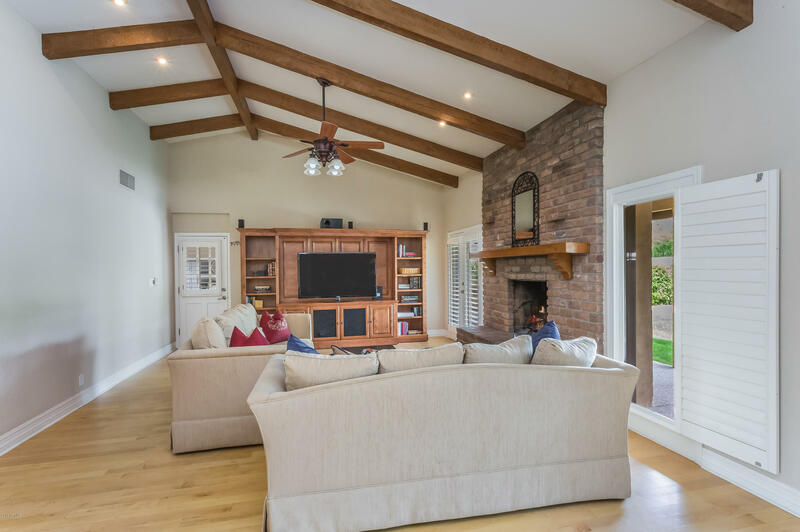 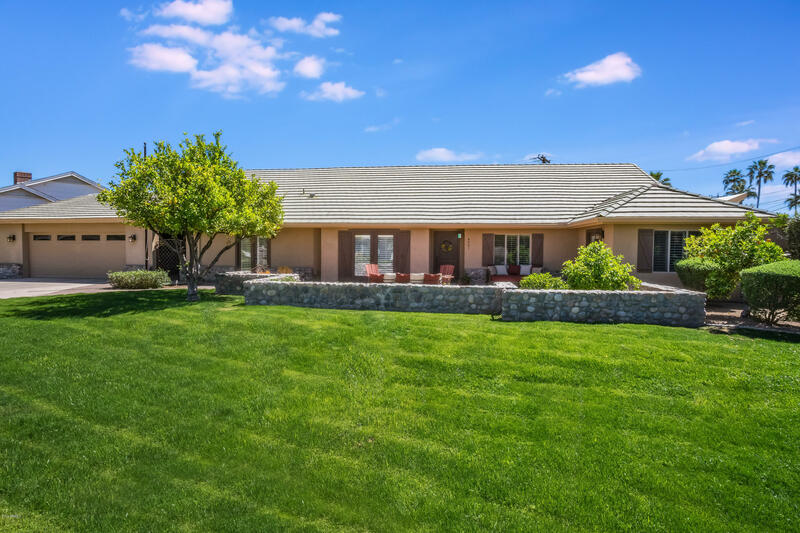 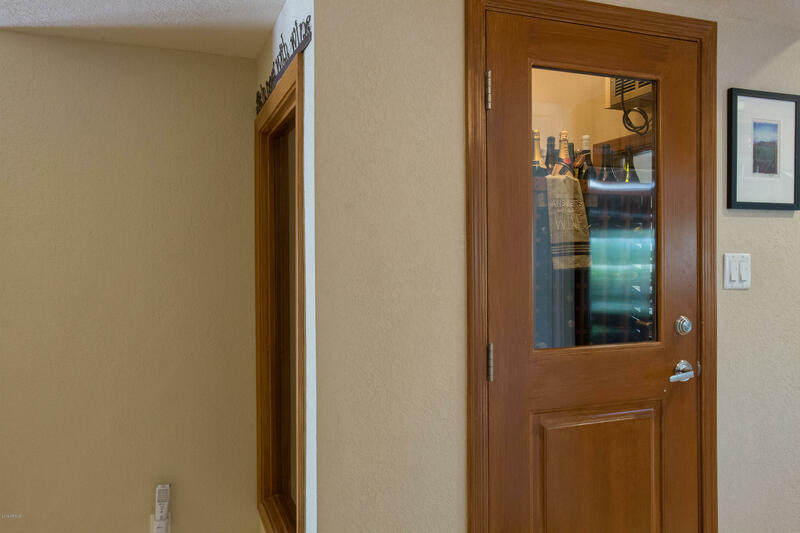 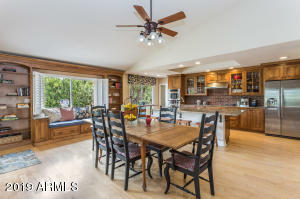 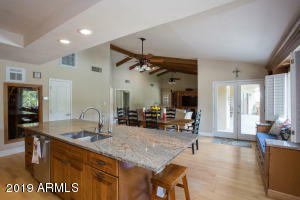 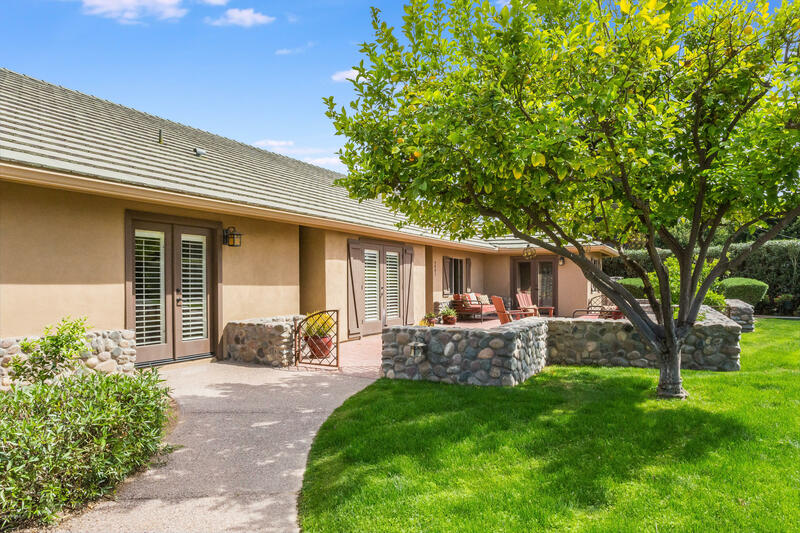 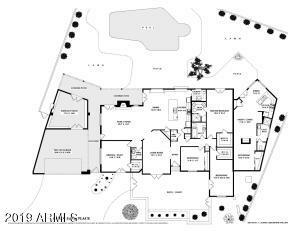 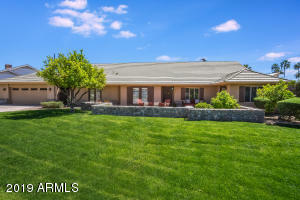 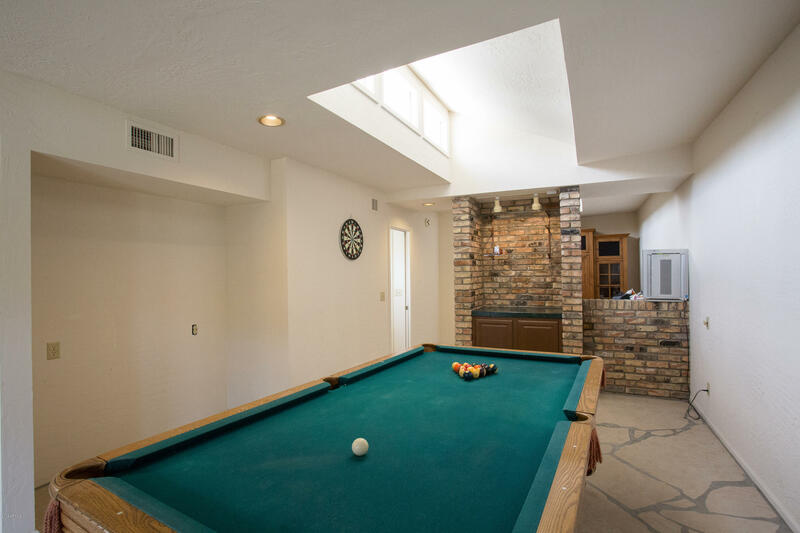 Comprised of a 2650' main home, 700' casita and 320' bonus room all under one roof, there is endless possibility here. 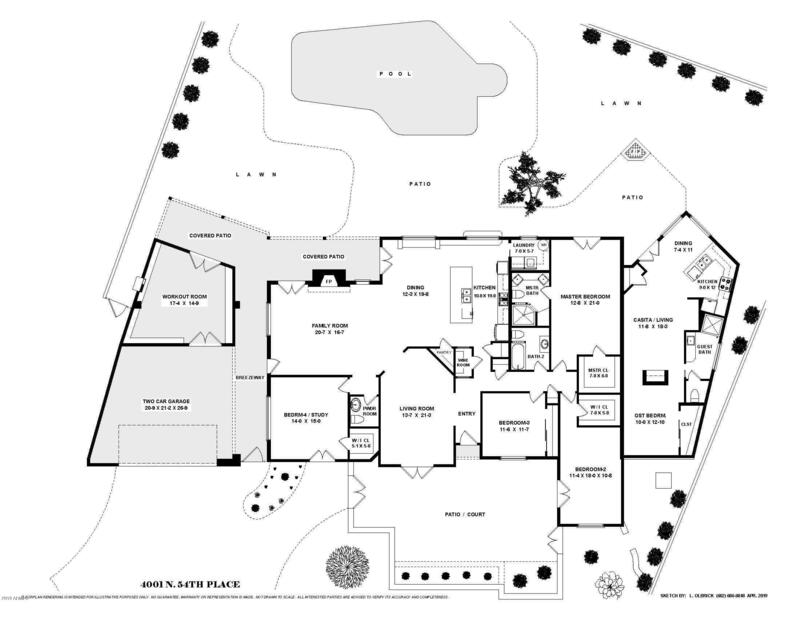 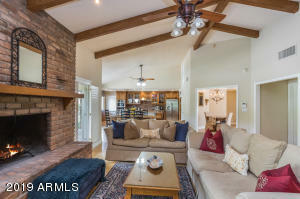 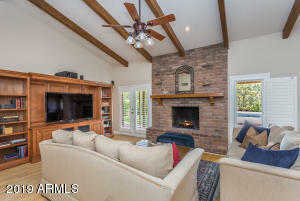 The main house has 4 beds/2.5 baths, a huge great room with soaring ceilings and wood burning brick fireplace. 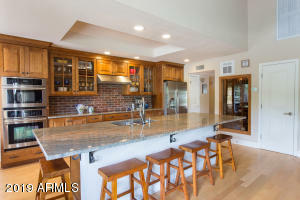 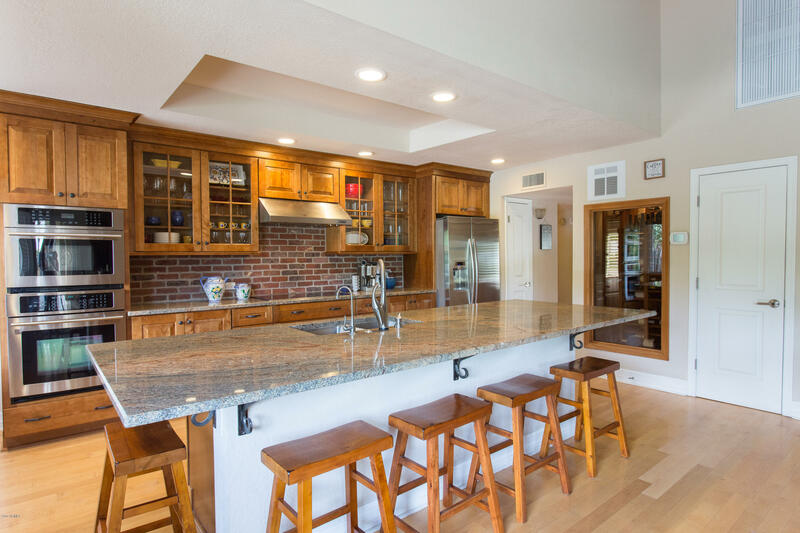 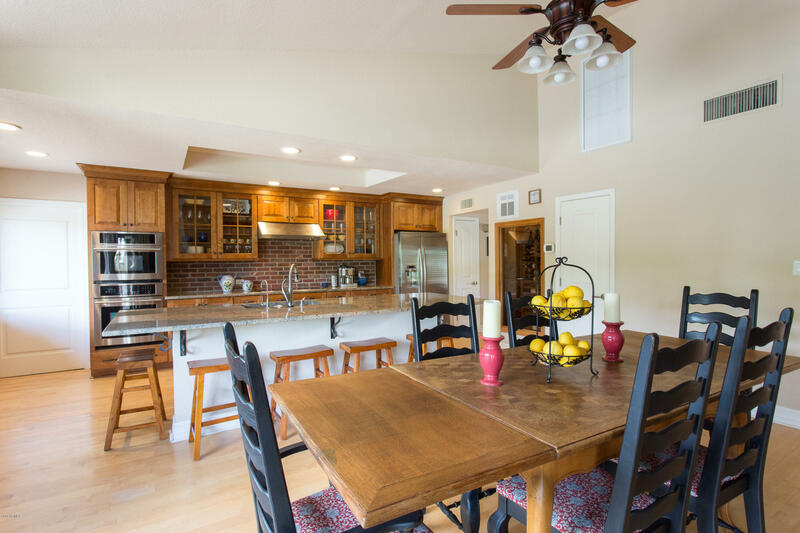 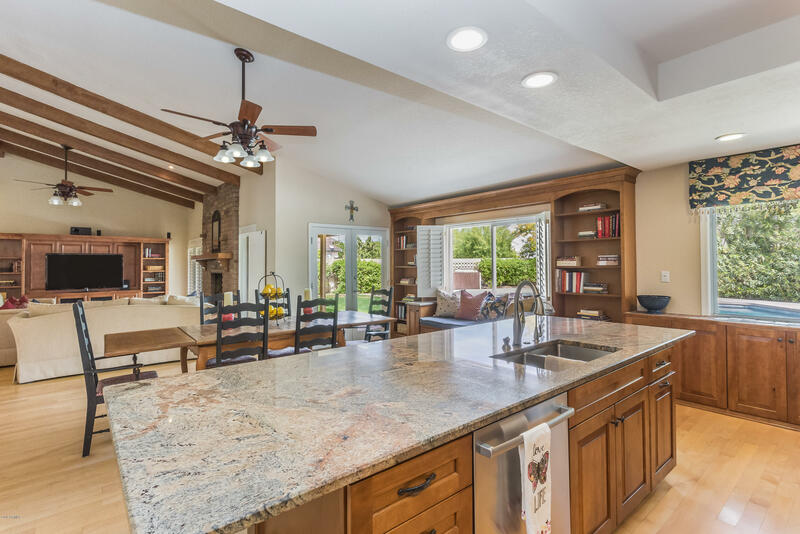 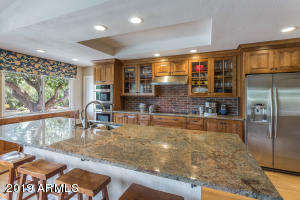 The kitchen is an entertainer's dream with custom cabinets, huge island, granite counters, stainless appliances and a 500 bottle wine refrigerator. 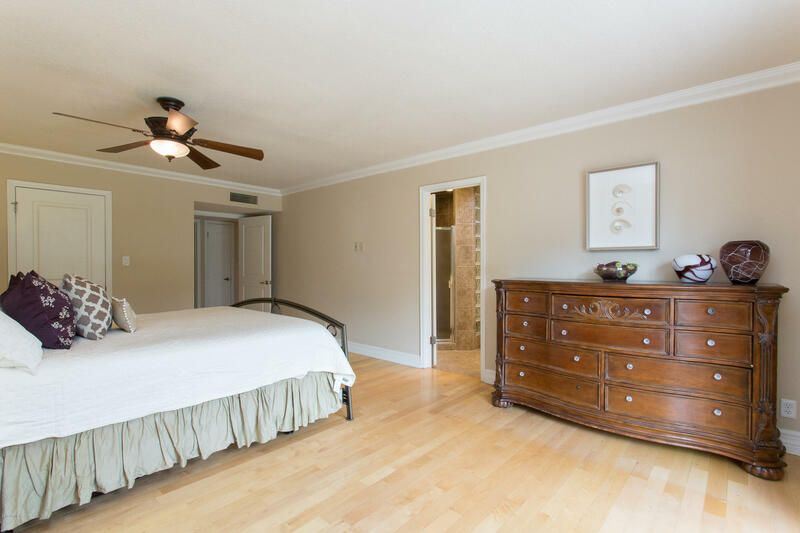 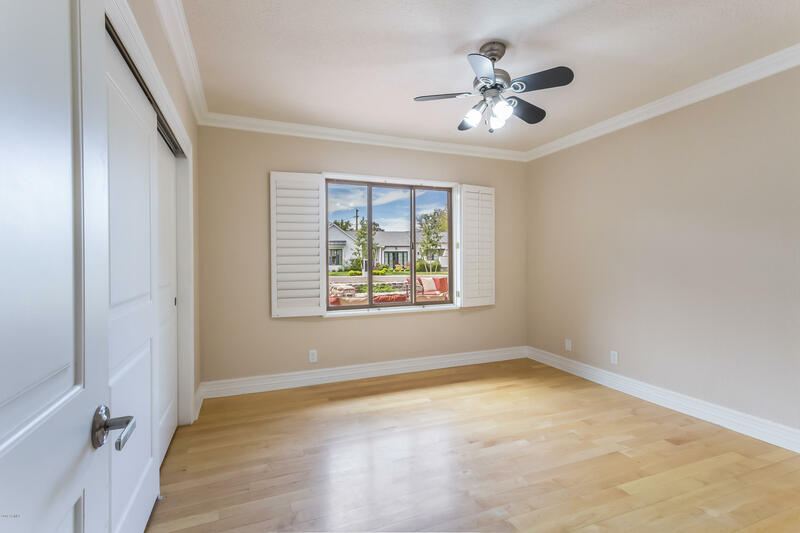 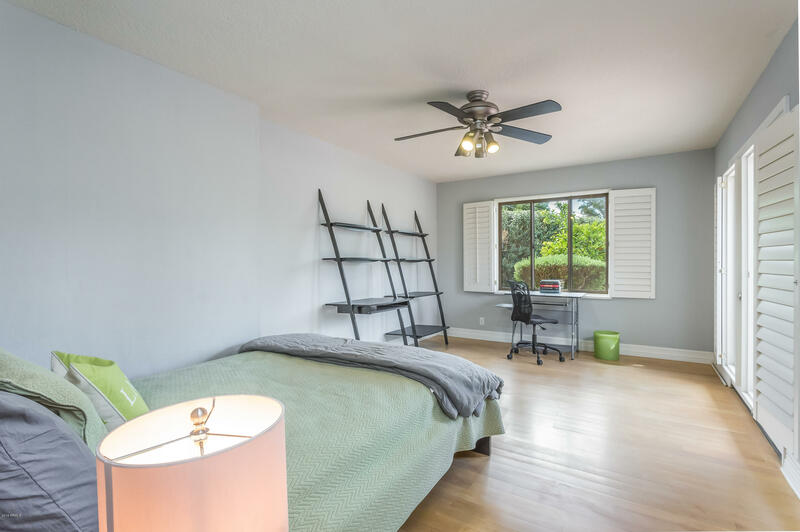 Large master and solid maple nail down floors throughout. 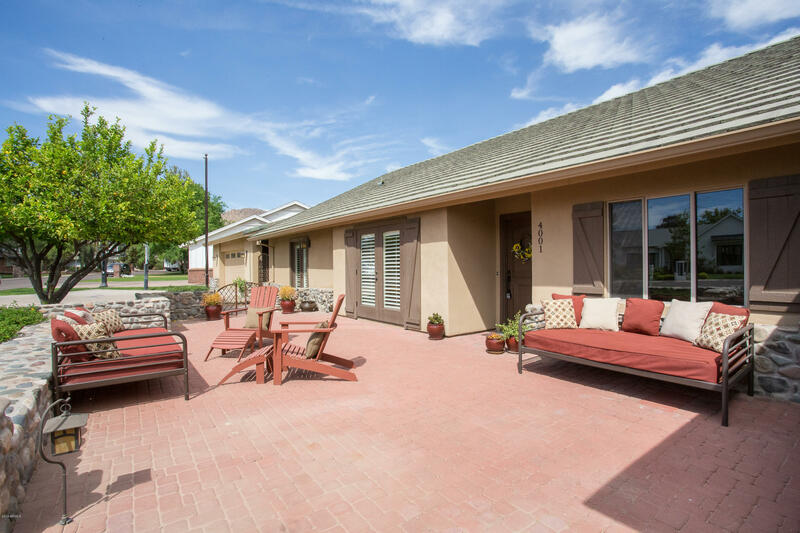 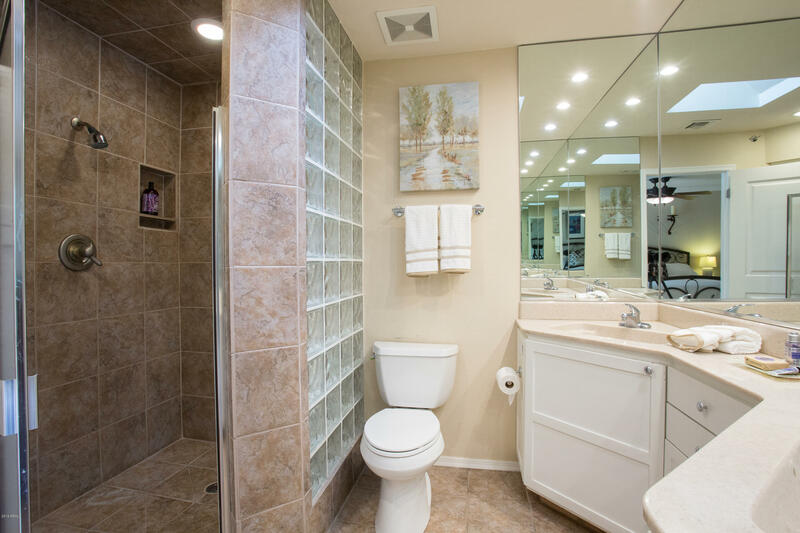 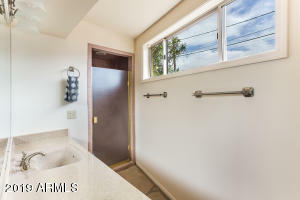 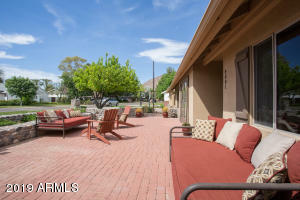 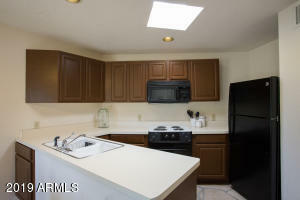 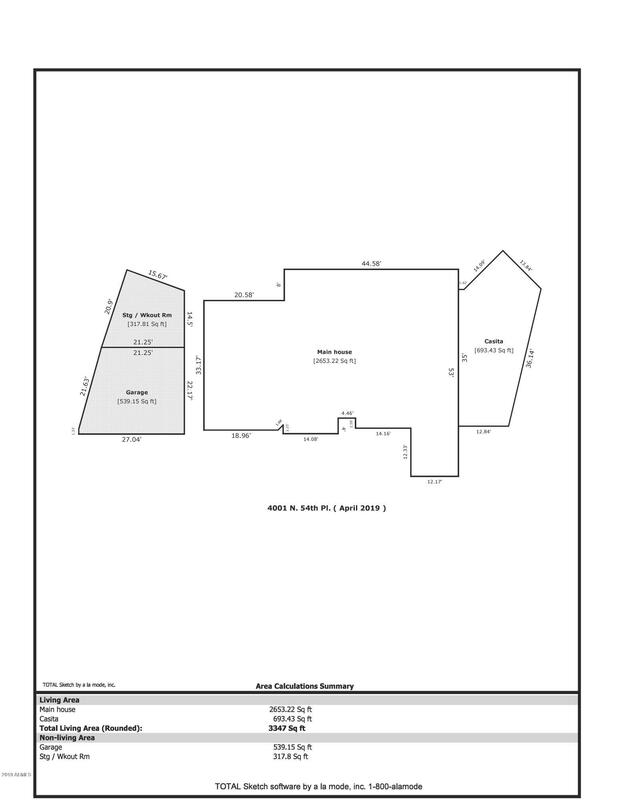 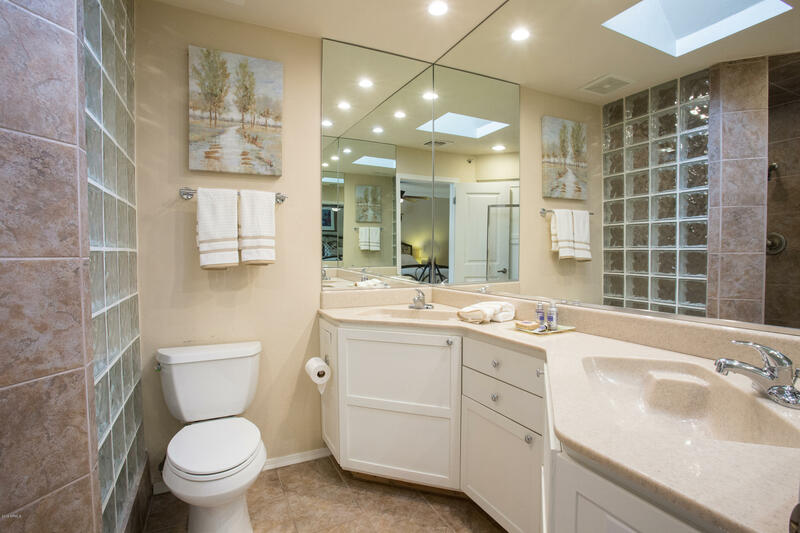 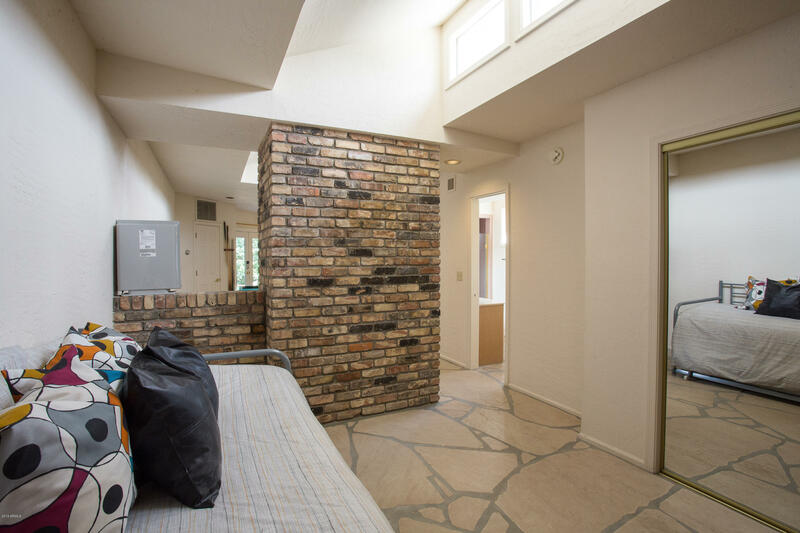 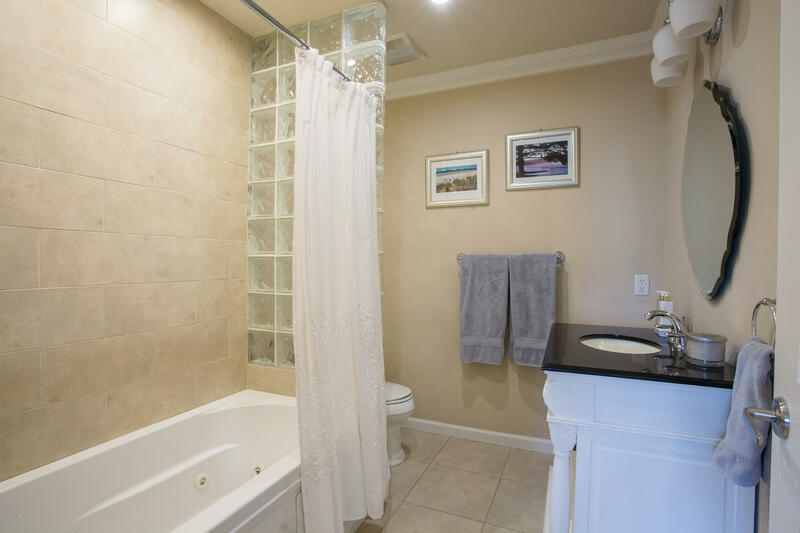 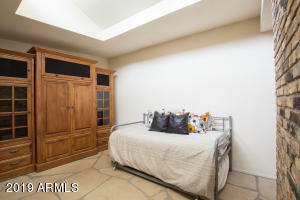 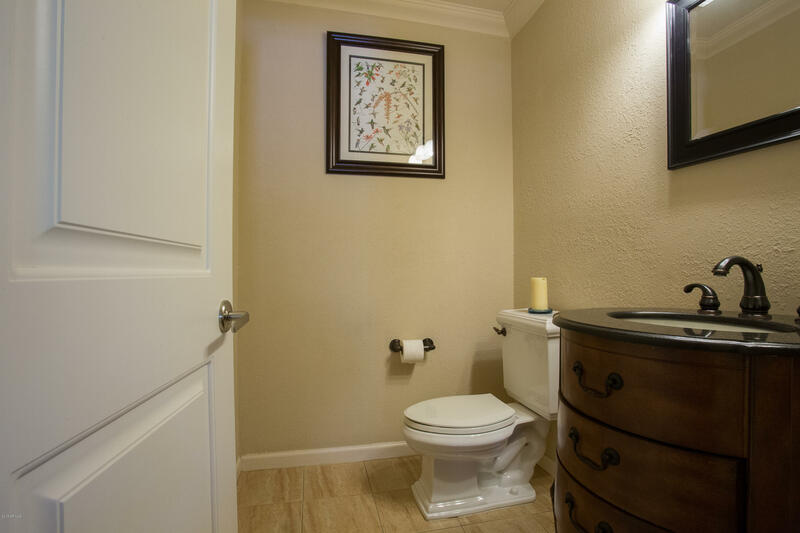 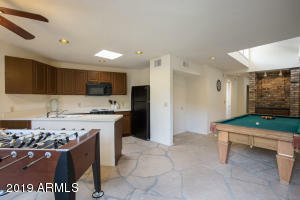 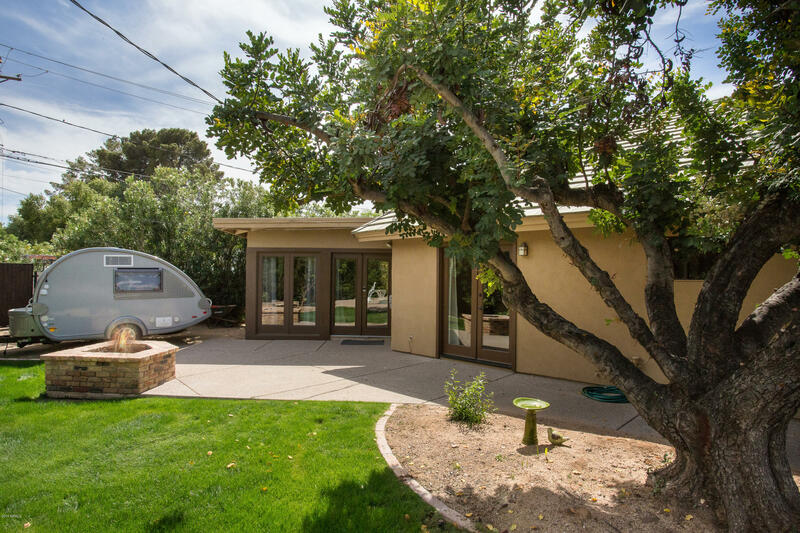 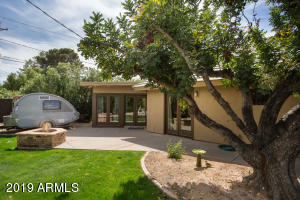 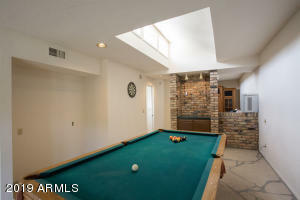 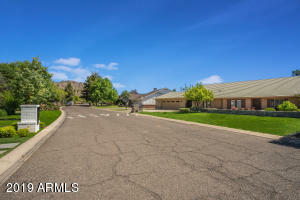 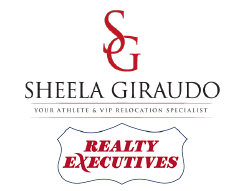 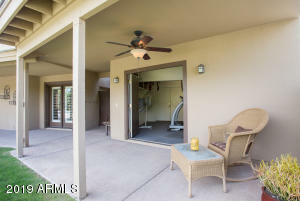 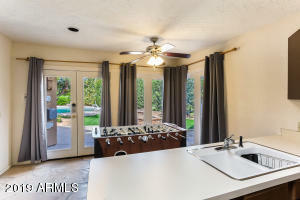 The attached casita is a huge bonus with living area, bedroom, kitchen and bath. 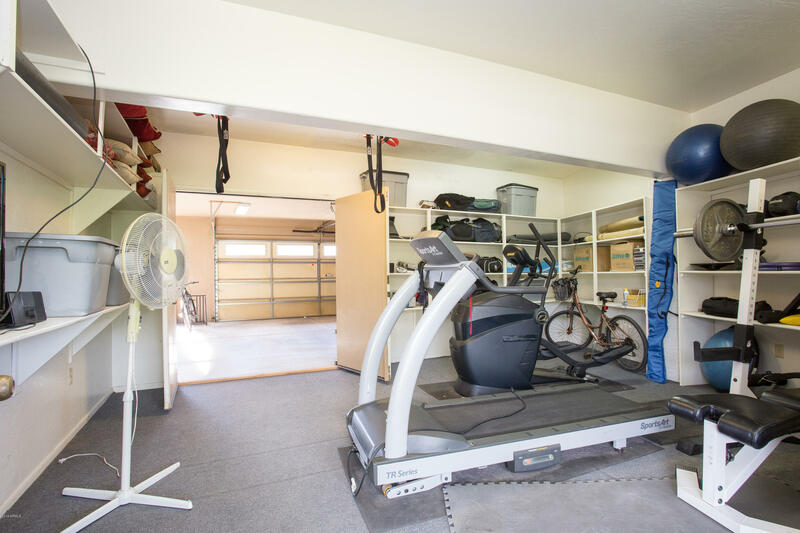 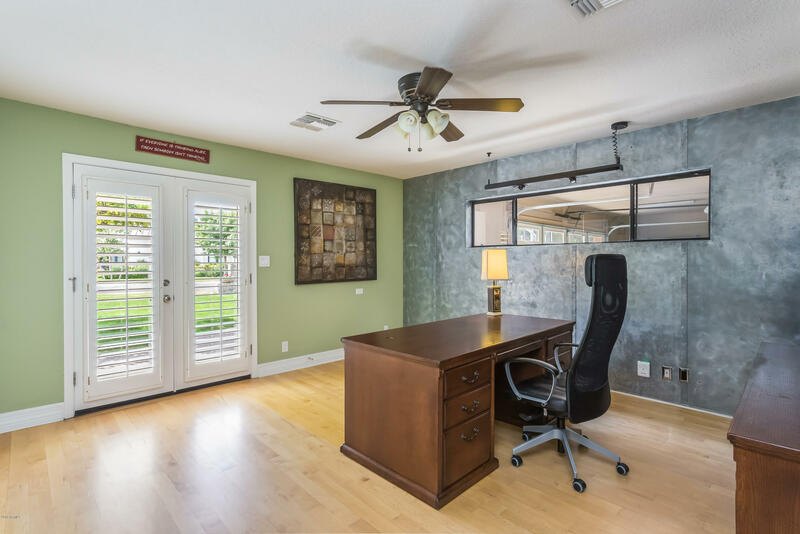 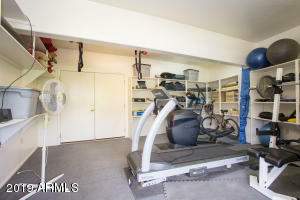 Another room behind garage makes great home gym, office or playroom. 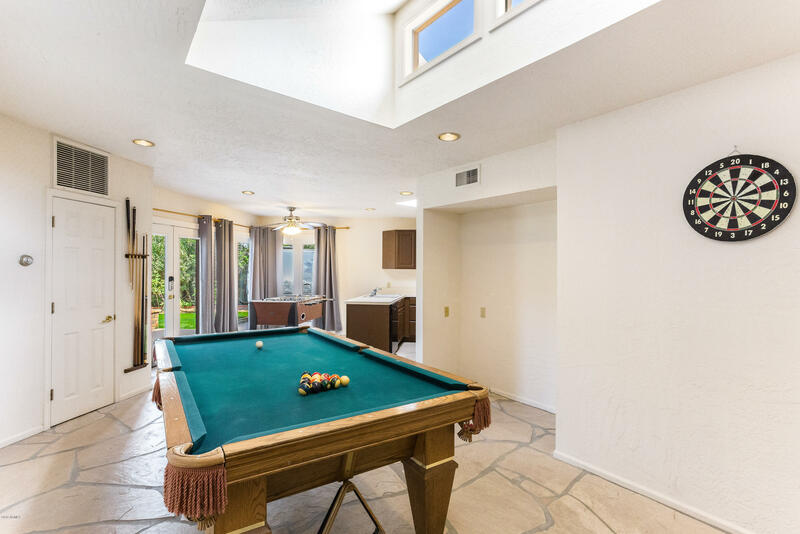 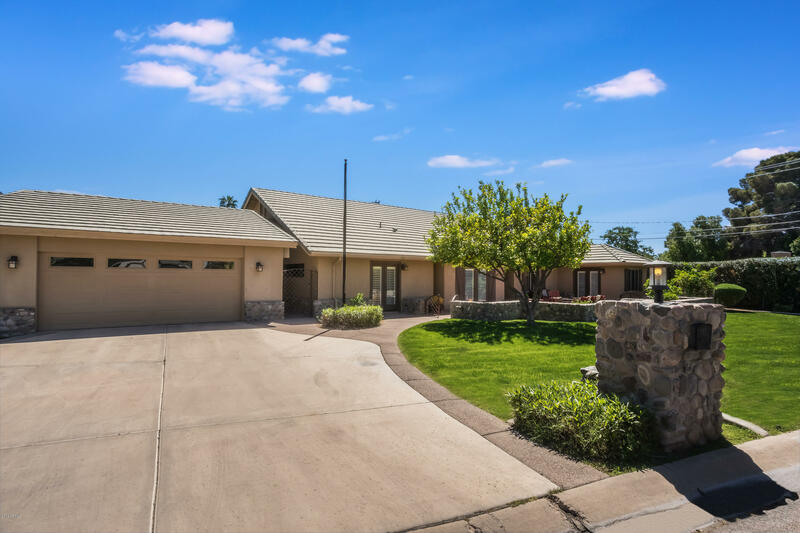 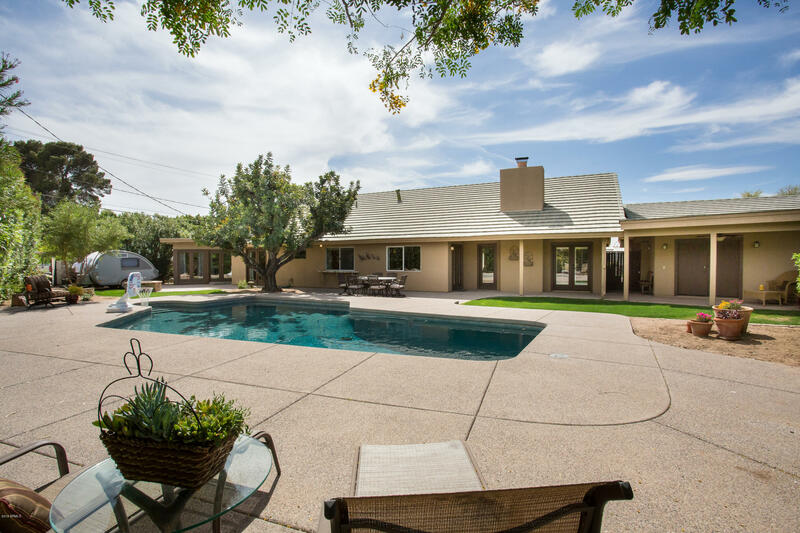 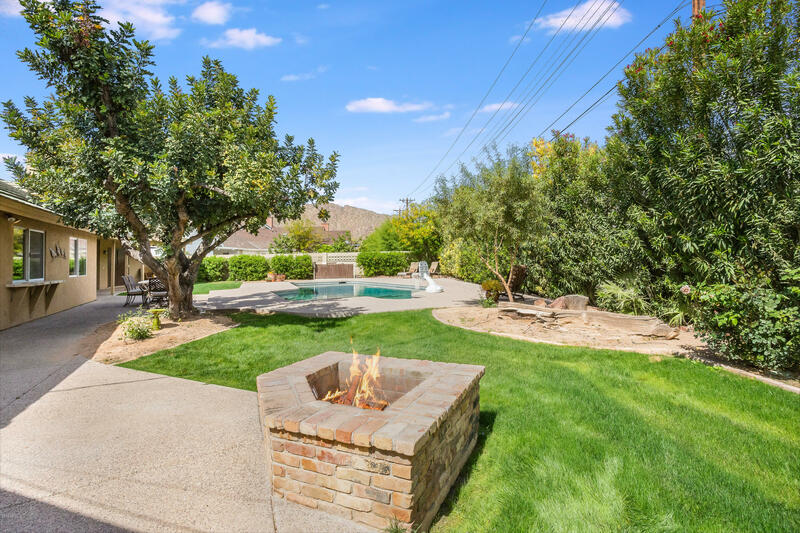 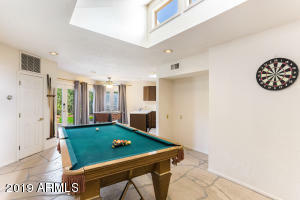 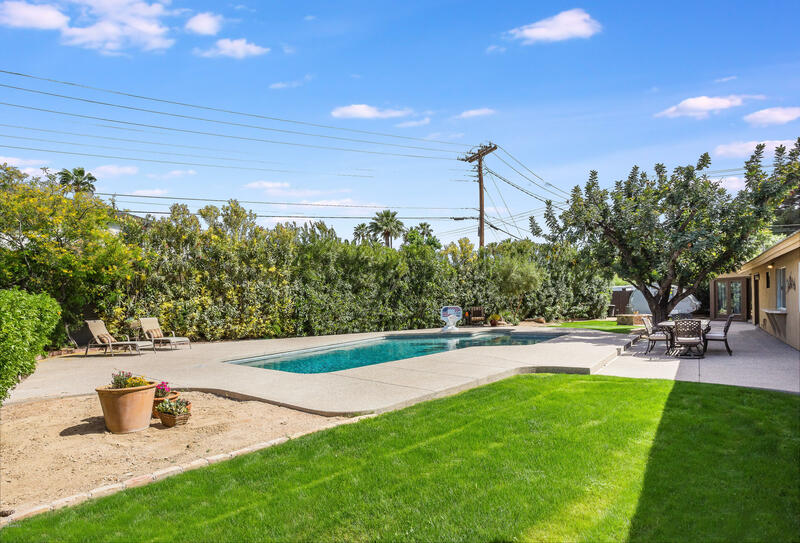 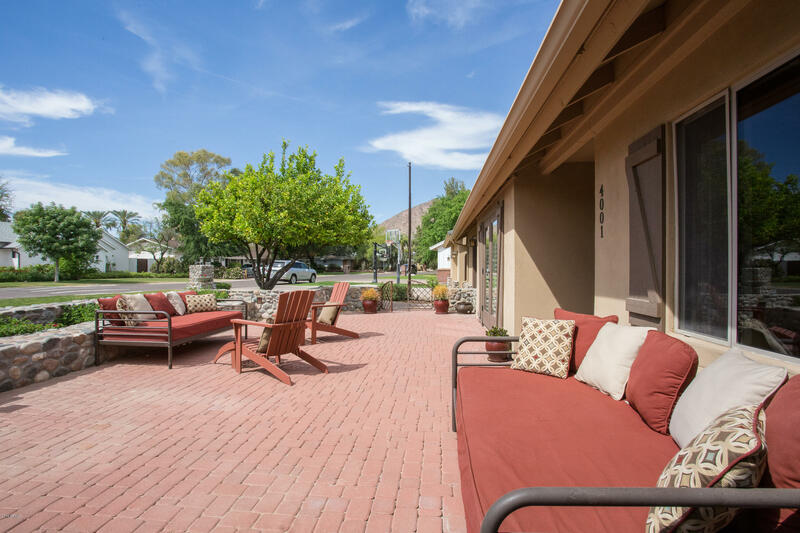 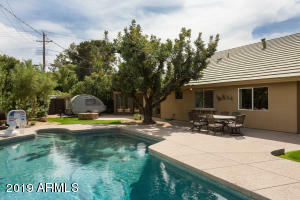 Located on a beautiful 15k lot with Camelback views, large diving pool, fire pit and in a coveted Arcadia location!